Non-GMO Vegetable Protein Pure 24g Protein Superior Taste, Mixes Easily, Smooth Texture with Branched Chain Amino Acids. No Soy, No Dairy. Natural Unflavored. 2 Lbs. (907 g). Not Manufactured with Wheat, Gluten, Soy, Milk, Egg, Fish, Shellfish or tree nut ingredients. 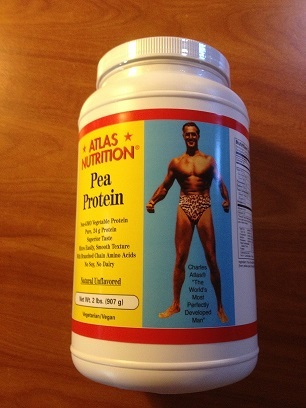 Ingredient: Pure, NON-GMO Pea Protein Isolate (from yellow peas). Typical Amino Acid Profile - Essential Amino Acids 33 g per serving (L-Histidine 590, L-Isoleucine 1094, L-Leucine 2009, L-Lysine 1798, L-Methionine 211, L-Phenylaianine 1322, L-Threonine 936, L-Tryptophan 211, L-Valine 1183. 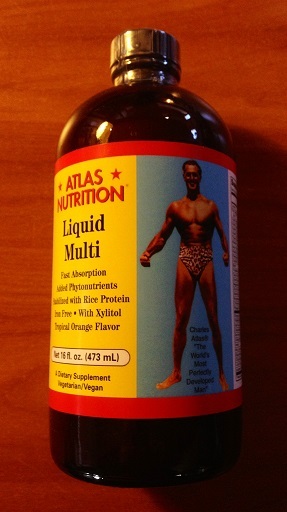 Non-Essential Amino Acids L-Alanine 974, L-Arginine 2030, L-Aspartic Acid 2822, L-Cysteline 358, L-Glutamic Acid 4286, Glycine 986, L-Proline 1042, L-Serline 1248, L-Tyrosine 895.